Yesterday, I stupidly ventured to Wal-Mart... Ugh. It was crazy busy. It seems that the tourists have invaded already, which means it must be Summer. If you live anywhere near water and outside of the city, you likely know what I mean. Yesterday was a particularly amazing day though- sunny and just warm enough with a nice breeze. The perfect day if you're not a fan of crazy heat. 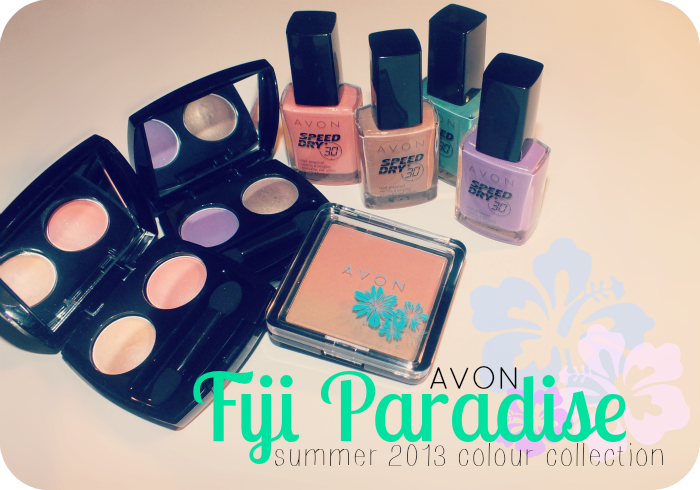 Anyhow, since it seems Summer is here, it seems like the perfect time to take a peek at a new collection- yup, another one, Avon seems to really love Summer this year- in the form of Avon Fiji Paradise Summer 2013 Colour Collection. 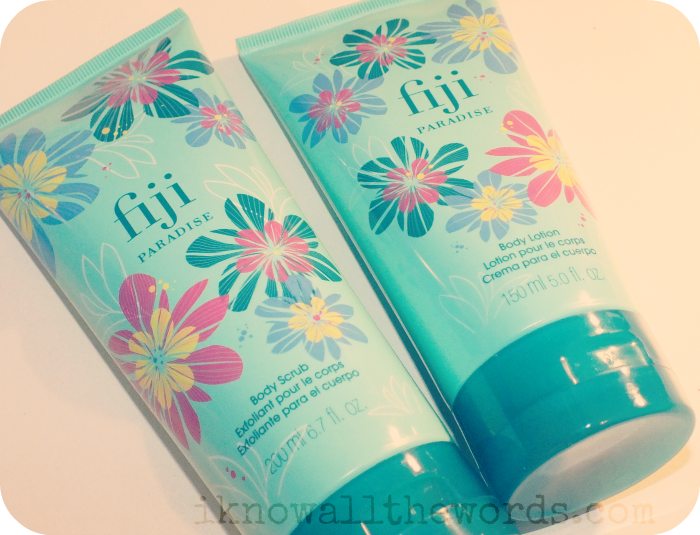 The collection gets it's name from the corresponding Fiji Paradise eau de toilette. The scent is a blend of creamy coconut, sparkling lotus blossom, exotic tiare flower and sensual white musk. I have the body scrub and lotion, and I like the scent but am a bit bummed that more of the coconut notes aren't apparent- it's mostly floral to my nose. The scrub is quite nice though, as it's fine, but still scrubby enough and leaves skin feeling really moisturized. 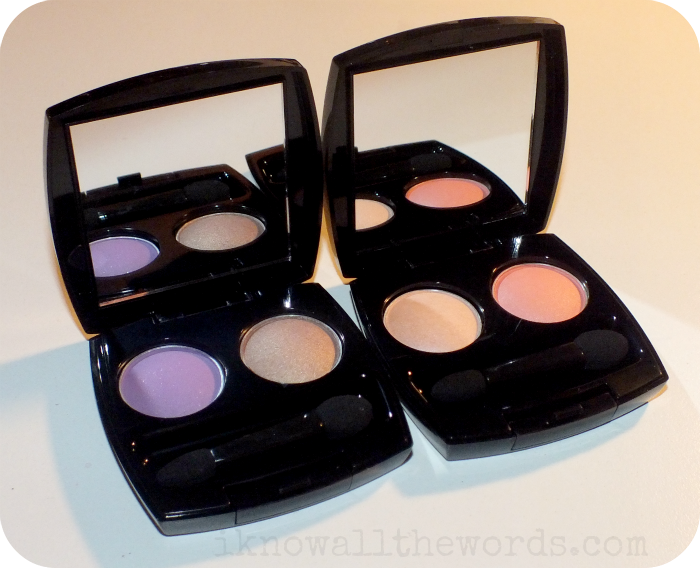 I find Avon's eyeshadow formula can be a bit hit or miss, but these two duos are rather nice. Both have one matte- mostly matte, Luxe Lavender does have a bit of glitter in it, but it doesn't read once on- and a satin. 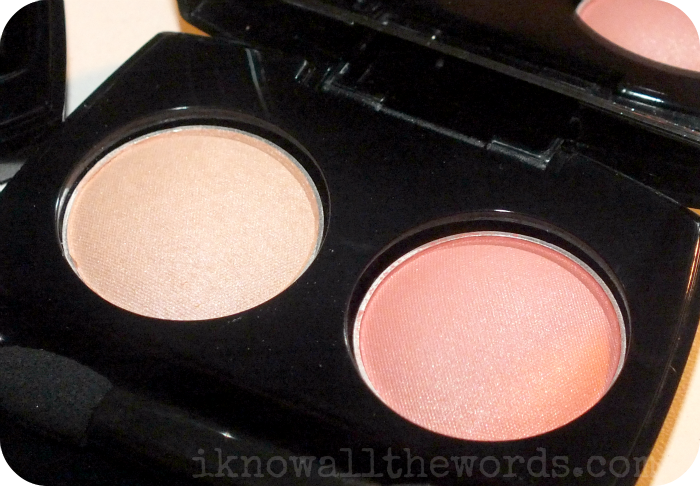 The matte shades are a touch powdery, but nicely pigmented and soft. The satin shades differ a bit in texture, Shell is a bit drier and has more shimmer in it making it a bit less pigmented than Metal Taupe, but both do apply easy enough. 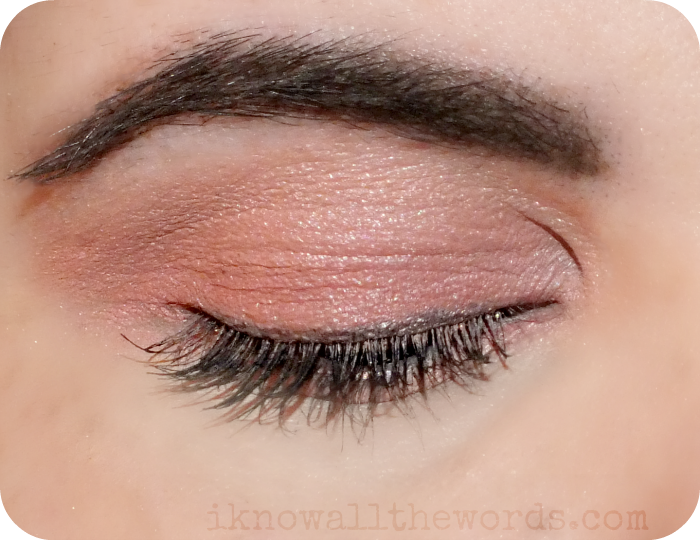 I wasn't sure about wearing such a coral-y coral eyeshadow, but I've really been getting a lot of wear out of the Sunkissed Duo. The coral shade really makes my brown eyes pop. I wear it all over the lid with Shell blended up through the crease. Add a bit of smudged bronze liner and mascara and that's it- a simple summery look. 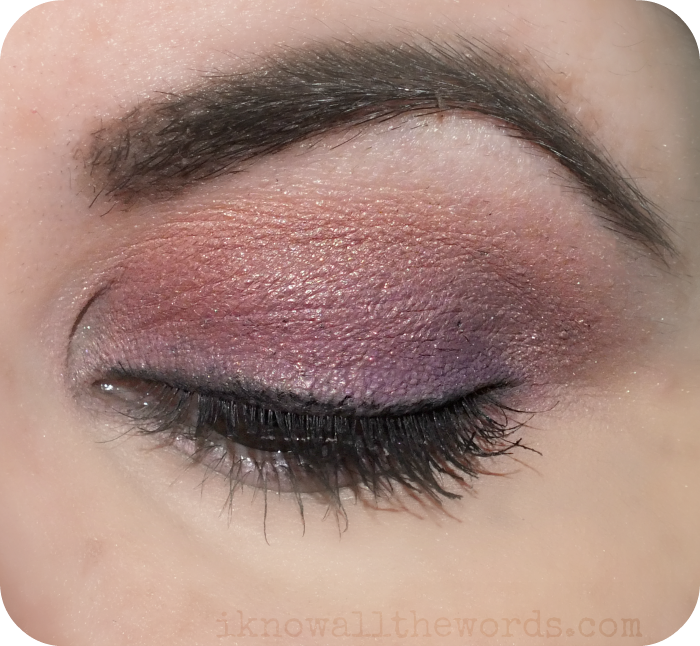 I've been doing pretty much the same thing with the Luscious Orchid duo, but with black liner in place of bronze. I love how the Metal Taupe creates an interesting pink duo-chrome type shade when it blends with Luxe Lavender. 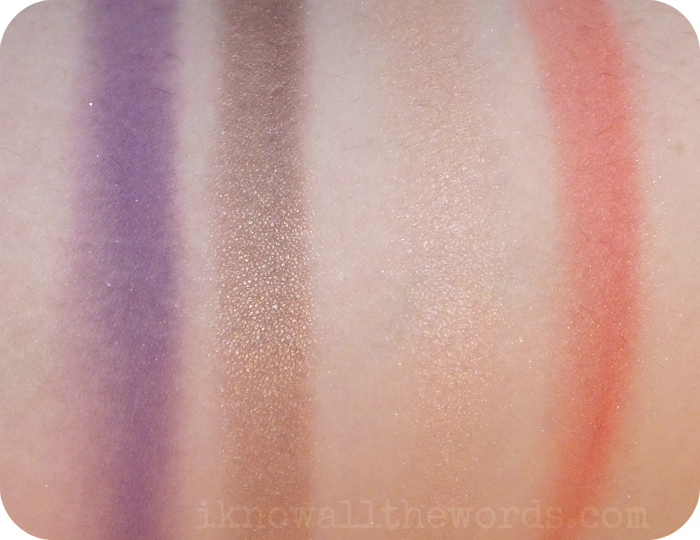 Products like this one, labeled as 'all over' powders can be confusing as more often than not they end up having too much shimmer or pigment to actually use all over. 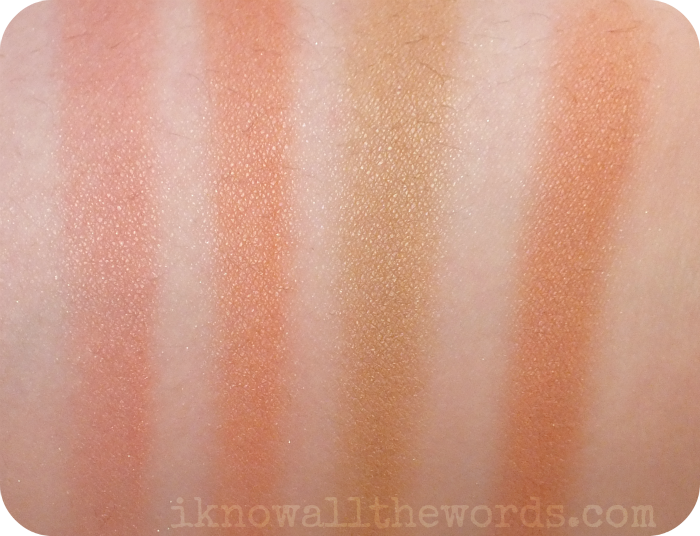 This one isn't one that I'd use all over, but the bronzed peach shade does make for a really nice blush. 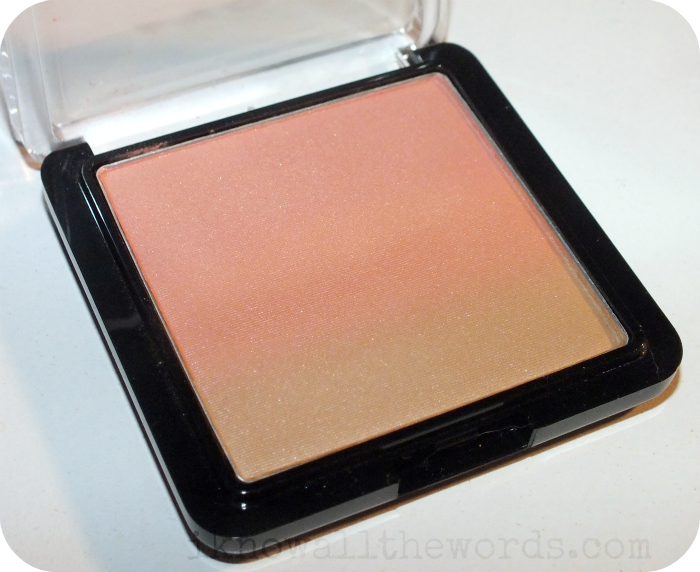 The three shades- a light coral, warm peach, and light bronze can be swirled together to make a gorgeous highlighting blush. You could also apply it lightly to high points to warm up your complexion a bit. Overall, it's a nice powder, but it does seem priced a bit high for what it is. Of course, what better way than to round out a collection than a few nail polishes? 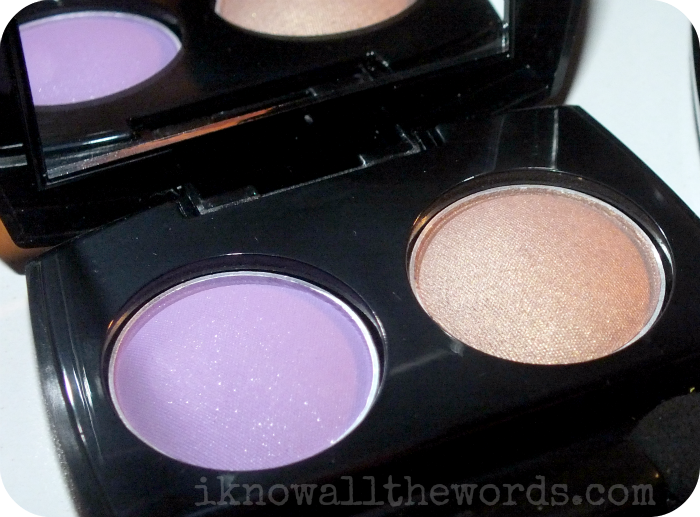 The four in this collection consist of two shimmers and two creams. The shades aren't exactly what comes to mind when I think Summer, but they do have a lush tropical vibe. Crusin' Coral is a peachy coral with golden shimmer. Three coats. Beachin' Bikini is a light tan shade with bronze and silver shimmer. Two coats. 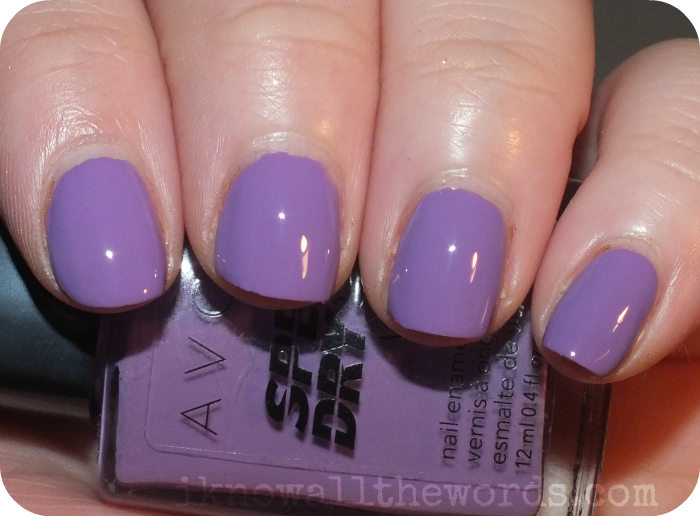 Bon Voyage is a medium depth, dusty lavender shade. Super pretty. Two coats. Teal Appeal is a medium depth, dusty teal. Two coats. Formula was great for all shades, but particularly the creams. They were that close to being one coaters. 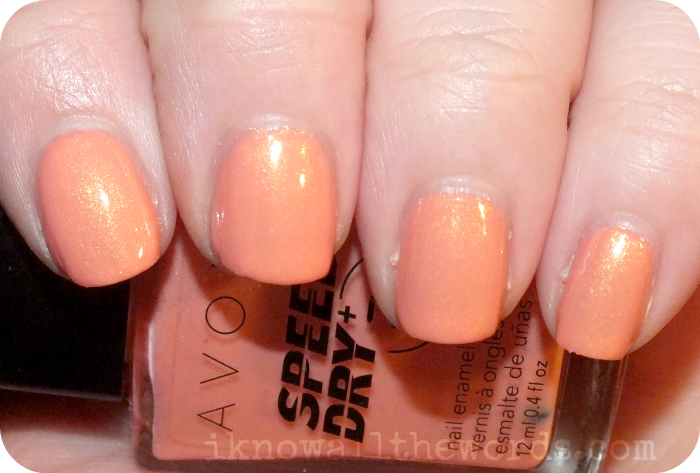 Great pigmentation and the Speed Dry formula does in fact dry pretty quickly. Overall, this is a pretty nice collection. My absolute favourites are the Sunkissed eyeshadow duo and Bon Voyage nail polish. Did you spot anything you like? swatched: china glaze it's a trap-eze!